"Great software that is easy to log on, user-friendly, has a great layout, and is easy to navigate." Training to use CloudNine was not lengthy. CloudNine was great at searching documents, including tagging, and exporting. Software tailored to our business needs and streamlined the task at hand. I do not dislike anything about CloudNine, the layout is simple, functional, efficient, searching and tagging documents is easy. 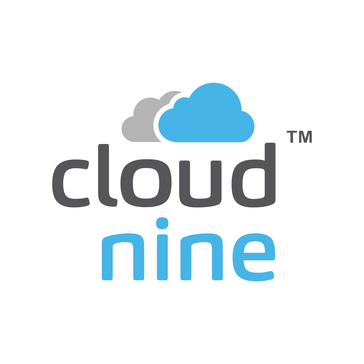 I highly recommend CloudNine, it is a great company tool and solution for searching large amounts of data. This service makes it possible for our company employees to work remotely and still be able to give our clients the best service possible. CloudNine has worked very well for our company and are very satisfied with the service. Well worth the price. The document search has eased the task of scanning large amounts of data. Benefits: CloudNine reduced time to review large amounts of data by its ease of search and tagging. "I used CloudNine as part of fraud investigation for email searches." I like the convenience and easiness of the use. The tag function made it easy flag the search results. I was impressed with the ease of use for a first time user. The speed and ease of loading data and being able to review it immediately is a tremendous advantage over other Cloud based platforms. I believe that search function could improve to isolate the data further down. Some of the basic document identification features became cumbersome when a limited number of documents were involved. This software is easy to use and very practical! The speed and ease of loading data and being able to review it immediately is a tremendous advantage over other Cloud based platforms. Being able to work with large data where it can be shared with multiple employees. "User friendly review tool backed by personalized customer support." What I like best about CloudNine is the intuitive searching function. It is easy to create complex searches, even as a beginner. You can also easily access your recent searches through a drop down on the main screen. This is much easier than going back to the searching page and re-creating searches that you didn't save. This isn't really a dislike, but I do wish we had the ability to re-name folders "on the fly" in the native tree view. This is done simply enough with an overlay into the folder field, though. We are helping our clients, the small to mid-size law firms, get away from reviewing and producing in paper. Once they realize how simple it is to tag and categorize their documents, their review is done much more efficiently - saving both time and money. "CloudNine Discovery is good at being really good"
CloudNine routinely impresses me with their superior customer service and automated tools that just work. We regularly upload a lot of data to CloudNine’s automated hosting and discovery tool. Their software is easy to use and searching is flexible. I personally didn't have access to the administrative rights so I was dependent on others in my organization to ensure all of the access was appropriate. Not CloudNine's fault or dislike. Just a dislike in the process. Help Desk assists us with all technical items including search logic, syntax, and segmenting for multiple document reviewers. "Intuitive design, fantastic platform! " The custom tagging fields were incredibly useful. Being able to create different types of tagging fields (drop down, custom text, radial buttons) was key to making our review easy and efficient. The custom views for the tagging areas for each individual reviewer allowed me to set up field lists that were specific to each reviewer, so the attorney who reviewed the privilege documents had those tagging fields at the top of the list while the other reviewers had fields specific to their assignment. The system worked beautifully. I really would have liked to have been able to redact while in the platform. That way the redactions could have been done as they were recognized instead of having to mark them, then reanalyze the documents to redact them in Adobe. Don't hesitate to try it! In my case, the clients wanted to review the documents we had marked as responsive before they were produced. I was able to set them up with logins and review sets so they could easily review the documents without any additional exports/list making, etc. The tool allowed our firm to collaborate on this project not only across our 3 offices, but also with our corporate client. "Nice alternative to Concordance "
The ability to self-service, to load documents on my own and sort them. I also find the search functions to be intuitive. It's also nice to have web-based software that's intuitive and doesn't require a specialized in-house IT department or litigation support group to manage. It's possible for our small firm to implement the software without needing extra personnel or outside consultants just to manage the database. Mainly, the inability to see highlights in native view. I would like for the terms highlighting to transfer into the native format, which ought to be easy enough on standard formats like PDF, doc, email, etc. If you are looking for an easy to use document management system that can be user driven and affordable, Cloud Nine is a good option. We divide the costs up proportionally and pass it along to our clients. A cost-effective solution for document management at a small-midsize firm. It allows us to work with more complex, voluminous e-discovery without incurring the costs normally associated with large, in-house document management software. Also, it's user friendly. "The best ediscovery platform for small firms and solos"
CloudNine's best feature is its straightforward ease of use. I co-taught a class on e-discovery at a local law school. We were able to get a class of 20 law students up and running and doing document review in less than 10 minutes. They were able to figure out how the software worked that easily. Plus, the drill down into the data production was impressive. For a small firm or solo, it just makes sense to go with a cloud-based SaaS, and CloudNine is the best of its breed. The tools are a little simple, especially compared to the software used at larger firms. There are a few features that would be really nice to have, like predictive search (AI). But the tools you absolutely must have are all there, all work well, and are easy to use. Evaluate all your options. SaaS for e-discovery is still evolving, and you may find that one tool serves your needs better than another. However, having said that, give CoudNine a try. It's very powerful, easy to use, and intuitive. E-discovery is a big deal. It's in every court at every level. I just had e-discovery issues in a small claims collections matter. Almost any electronic document production is going to be fraught with problems and produce mountains of data that need to be reviewed, redacted, culled, and produced. Having a scalable tool for the job is imperative, especially for a smaller law firm. CloudNine fits the bill. "Excellent tool with outstanding support"
CloudNine is an excellent tool, that takes the best of the Relativity review solution, and leaves out all of the fiddily bits that make Relativity excruciating to use. Their upload and processing automatically, and their pricing structure is the best I've seen. I don't really have anything to say here. All of the solutions and even the off the wall requests we've made of CloudNine support has been outstanding. Talk to their support, and evaluate the product. The ability to do automatic processing of new data and receive alerts is by far the best feature. We have upload all data that needs to be reviewed by the Legal, Compliance, and Internal Audit teams in our company to the platform, and the cloud based solution and automatic processing features allow us to keep costs down and only worry about hosted data. Offers the major features we were looking for, at a fraction of pricing of other competitors. Some additional features such as email threading, and near duplicate searching/matching would be useful. CloudNine does not have all the "bells and whistles" that some competitors have, but it does by far the vast majority of what an e-discovery client must do. Plus the support staff with CloudNine is very responsive and helpful. I really like the fact that CloudNine is browser-based, so you can use it on any device. This is great when I want to review documents but I do not have my laptop with me. I also love how intuitive and user-friendly it is, and the team at CloudNine has been amazing in answering any questions I have and assisting as I learn the program. There is not much to dislike that I have found so far. The tools for redaction and annotation are great, but it would be nice not to have to re-select the tool you want as you go from page-to-page in the image. I am using CloudNine to manage a large set of e-mails and native documents (400+ GB). The biggest benefits so far for our team are that the program is so easy to learn and use, and that there are no limits to the number of reviewers you can have on a project. This has allowed us to get through our very large set of documents in a much shorter time frame. The tool is very easy to use and train others on. It is very cost effective and can be rolled out quickly. Would like to be able to customize views in the review panel. Get a feel for the staff and support. They have a great team and are always willing to work no matter what time of day. They have provided cost effective solutions with minimal down time. "The best SAAS product of the market"
With automated processing of data the product have a great investigations review and is very easy to use. Some times, i have problem with some kinds of file type. Because we don't have to buy any software, this tool is very cheapest. "I have used the product for a document review and document production. " That I can store all documents in one place and search by date, author, recipient, etc. I wish the interface did not make you open some files in the native application like .pst, .pdf, .doc., etc. or switch between tabs to do so. Also, I hate that signature images, like a company name or logo appears as a document. I'm a lawyer, so I use the product for document productions and document reviews. "Better than most out there"
You can get started in a very short time period. It doesn't take days to get started. With this product you can get up and running in minutes. The price was in the middle of the road. Very nice and easy user interface. It can't handle multiple CRM applications. Getting the permissions setup was kind of pain. It was very quick to get us up and running. Being able to find a needle in a haystack, a/k/a a one-page document in a sea of hundreds of thousands of pages. It took some getting used to, figuring out how best to search for a specific item. We used it for discovery purposes in a law firm and it was extremely helpful. "Easy-to-use product for ligitation services and document review." The customer service is excellent and the module is well-organized. It would be helpful if the full document fit on one page instead of having to scroll down. Better product than many competitors. Litigation-related services, specifically document review. Items were easy to upload. Folder structure was maintained. Quick response to tech support questions. Not able to add check boxes for review tags. Simple interface and quick tagging set up if you are looking for a inexpensive E-Discovery tool. "Very useful and user friendly"
The ease and customer service was top notch. Not knowing about recurring charges associated with hosting data. Very useful with an e-discovery project in a case with an unsophisticated client. The staff was very responsive to the questions we had. * We monitor all CloudNine reviews to prevent fraudulent reviews and keep review quality high. We do not post reviews by company employees or direct competitors. Validated reviews require the user to submit a screenshot of the product containing their user ID, in order to verify a user is an actual user of the product. Hi there! Are you looking to implement a solution like CloudNine?